Stephen King poses at an undisclosed location on May 13, 2011. 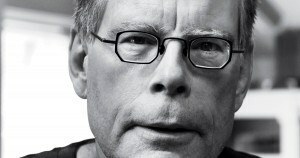 King is author of "11/22/63." Photographer: Shane Leonard/Simon and Schuster via Bloomberg EDITOR'S NOTE: NO SALES. EDITORIAL USE ONLY. Hodder and the Guardian are delighted to announce the winner of the story competition inspired by The Bazaar of Bad Dreams by Stephen King. Elodie Harper’s winning piece is available to read on the Guardian and she has also secured a place at a Guardian Masterclass run by Philippa Pride, Stephen King’s editor. In addition, the promoters and Stephen King are delighted to give a signed copy of The Bazaar of Bad Dreams to each of the 6 shortlisted authors.